Product information "POPP KFOB-C - 4 Button Remote Control"
The KFOB-C by POPP is a 4-button remote control with Z-Wave controller function. You can switch devices such as lamps, shutters or switchable sockets or complex – via control center defined – scenes. The KFOB-C could be used as primary controller and secondary controller as well. In primary mode, devices can be connected to the POPP remote control. Once one device is added to the KFOB-C, it checks the device type (switch, dimmer, shutter...) and assigns the buttons with correct commands. In secondary mode, the KFOBl-C works via Z-Wave control center. Thus, it is also able to control complex pre-defined scenes (e.g. ‘All-off’ or a special light atmosphere). With the battery-operated POPP remote control, you can control your smart home from everywhere at home. 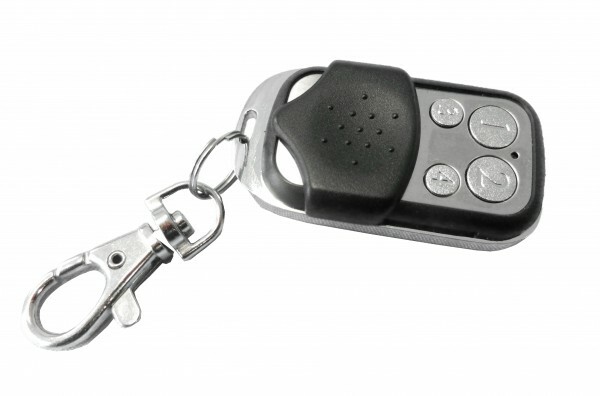 Using the KFOB-C remote control is as simple as using a radio car key – and thereby equally compact, so that it fits to any key ring. Thanks to its robust sliding cover, the KFOB is prevented against involuntary touches of the buttons. Related links to "POPP KFOB-C - 4 Button Remote Control"